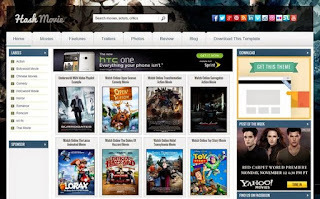 Hash Movie Blogger Template is a Blogger template for movies, posters, and video playlists. It provides a great layout to support movie review related, trailers related, or movies in general related site. It features a nice 3 column layout with thoughtful dimensions that allow you to include the optimum level of advertisement while also staying humble and true to the post area. It has many custom features and full version comes with the ability to add video playlist functionality.